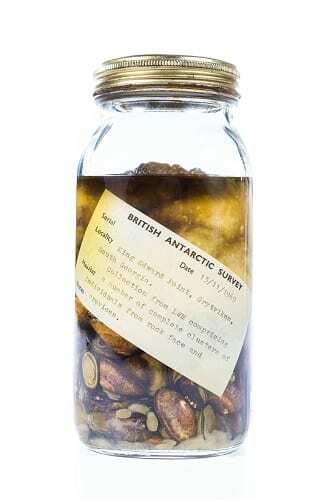 Over the past year, UCL Culture’s conservation team has been undertaking work on a project to conserve many of the Grant Museum’s specimens which are preserved in fluid (read more about ‘Project Pickle’ here). 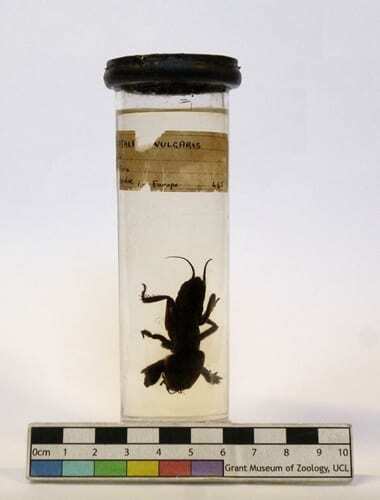 During the ongoing work, specimens have been re-hydrated, remounted, rehoused and re-identified. Hello! Will Richard here, blogging again for you all. And this time I’ve chosen a specimen that I can’t believe isn’t better known. Everybody loves a jar of moles… so how about a jar of mole crickets? For those of us who had the opportunity to work with Virtual and Augmented Reality (VR and AR), 2016 was a most exciting year. Notably, a range of new headsets finally reached consumer market and a number of interesting, new applications looked poised to mainstream these technologies. 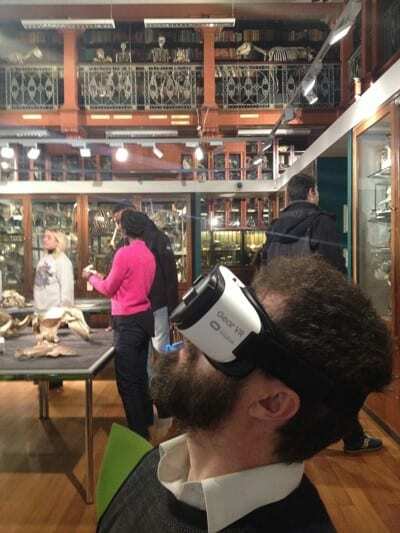 We even saw the world’s first revolutionary AR game in the form of Pokémon Go entering many locations worldwide and arriving to this very place, the Grant Museum of Zoology. It is also becoming apparent that VR and AR are not just opening new opportunities for how we entertain ourselves, but also how we connect, share, and learn, by transforming how we look at content. 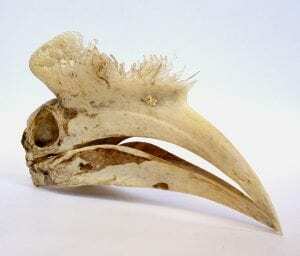 Hello Specimen of the Week fans, Dean Veall here. This week I’ve chosen a specimen that is a bit of an avian showoff in the animal world (**PLUG PLUG**Join us on Thursday 9 March for more showoffs in Animal Showoff **PLUG PLUG**). That is no mean feat for birds, a group of vertebrates that are known for their showoffy-ness. My Specimen of Week is a hornbill skull and I fear I cannot restrain myself from singing the one song hornbills are famous for. Can’t place the song? Read on…..